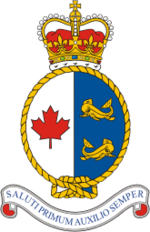 The Canadian Coast Guard is celebrating their 50th birthday, but many of their employees are getting layoff notices. Due in part to economic down turn and in part to improving technology, the money being saved is actually small. The West Coast seems particularly hard hit. This entry was posted in News and tagged Canada by Chuck Hill. Bookmark the permalink. One of the bases that are getting the cut is Kitsliano Coast Guard Base that is situated near the enterance of Vancouver Harbour in which last FY had 300 maritime search and rescue cases. Its very near the most busiest harbour on the westcoast. It takes 15 minutes to get the 41 fter on scene in Vancouver Harbour. The nearest other SAR station is 17 miles away and that is the Canadian Coast Guard Hovercraft Base at the Vancouver International Airport and it will take the Hovercraft (ACV) 26 min to get to Vancouver Harbour. It just not make any sense at all this cut. And what else is totally ridculious cut to sar services is the closing of the Comox Marine Communications and Traffic Services Centre, which are essentially like air traffic control centres, but for boats and are Coast Guard Radio Station for the inside passage of Georgia Strait that co-ordinates SAR traffic for the Joint Rescue Co-Ordination Center with guarding the international distress channel VHF-FM 16 and other channels for marine search and rescue co-ordination, the Comox MCTS last FY year handled nearly 900 maritime sar cases, the VHF-FM has many gaps along the BC coast and by closing the Comox MCTS will make the VHF-FM communications gaps even worse to the point of peoples lives will be lost due to there “Mayday Calls” would be missed.